Rookie right-hander Hayato Takagi, who is 5-0 and won the Central League season’s first pitcher of the month award Friday, is making the transition from corporate league standout to pro starter look easier than it’s supposed to be. The 25-year-old Takagi, the Giants’ third-round draft pick in the fall, told Kyodo News last week at Tokyo Dome that his success has been a matter of simply sticking to what worked for him over seven seasons with Mitsubishi Heavy Industries Nagoya. Most former amateur stars struggle when pitches that used to work get hammered by professional hitters and shy away from their core skills. But Takagi so far has been an exception. No one would mistake the 178-cm Takagi’s stuff for the big heat of Shohei Otani or the impressive and varied arsenal of Yu Darvish. “My cutball is something I developed over time,” Takagi said. “It got better little by little. It’s nothing like a textbook cut fastball. I think it’s something of my own. “It was something I worked on to get corporate league hitters out. I have a couple of variations with it: change the way it sinks, the way it breaks. The same goes for my forkball. 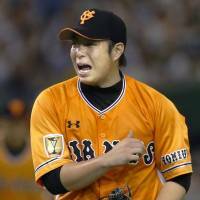 In Takagi’s first six starts, he faced the Tigers three times, the Tokyo Yakult Swallows twice and the Yokohama BayStars once. The Swallows’ second look at Takagi was even less impressive than their first, with a lot of defensive swings on a night when his control was letter-perfect. The Hanshin Tigers’ Matt Murton, the 2014 CL batting champ, has hit the ball hard against Takagi with no base hits to show for it, and said there’s nothing tricky about the right-hander. “He throws a fastball, slider, curveball, fork. He throws to both sides of the plate. He has a quality mix. He has good command. He throws strikes quite often,” Murton said. But it’s harder when a pitcher executes regardless of the situation instead of getting rattled and losing command when things don’t go his way. And so far, that’s where Takagi has excelled. 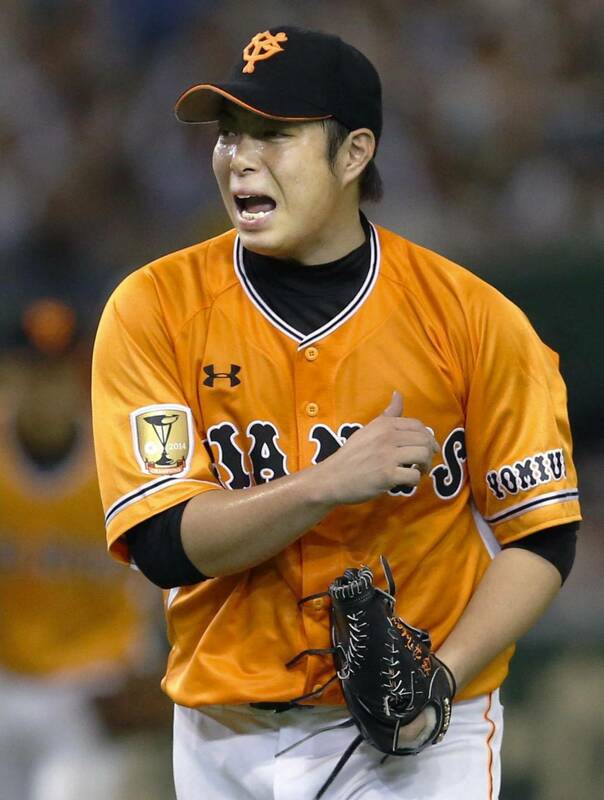 Facing Hanshin for the third time on May 3, Takagi allowed a season-high three runs and said that kind of game matched his self image as a grinder — particularly when he faced a no-out, bases-loaded dilemma but allowed just one run and went on to win. “Even with no outs and the bases loaded, it’s a matter of starting over against another hitter. I don’t consider it a special situation,” Takagi said afterward. “Even if they score, my thoughts are always on the next hitter, and then the next one.